Dr. Kambiz Silani always appreciates feedback from his valued patients. To date, we’re thrilled to have collected 208 reviews with an average rating of 4.96 out of 5 stars. Please read what others are saying about Dr. Kambiz Silani below, and as always, we would love to collect your feedback. thorough and thoughtful exam with great personal attention. This is a high end eye clinic. He has all the latest gadgets to attribute to the well being of your eyes. I only wish I knew about him years ago so I could have saved my eye health further. He also has amazing bed side manner and is very detailed, knowledgeable and kind. I give him a 7 star rating. Thanks Doc! The experience was fantastic from the moment I entered the office. The receptionist took time to personally get to know me and Dr. Silani spent as much time with me as I needed to make sure all of my questions were answered. He clearly makes it a priority to give the best quality care to his patients. This was a five-star visit, for sure! My exam experience was very comprehensive and informative, especially about understanding all screening tests offered. Dr. S is very friendly, easy to talk to, and seems genuinely committed to patient health. Dr. Silani is very thorough and knowledgeable. He and his staff really take the time to answer all your questions. He’s also very personable and caring. Would definitely recommend him to others!! After wearing contacts and glasses for 20 years this was the best eye doctor I've ever been to. 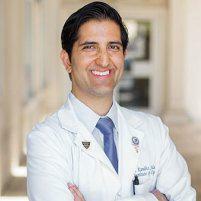 Dr. Silani was knowledgable and personable. I would highly recommend him. This eye doc really knows his stuff! Everything in his office is high tech and he does a great job explaining your results. I can't say enough good things. Dr. Silani is so wonderful. The selection of eyeglasses and sunglasses is enormous. I wouldn't see any other doctor. Friendly, efficient and personable! Dr. Kambiz cares about every single one of his clientele. You're always treated with extra care when stepping into his office. He knows how to give his patients the one-on-one treatment they deserve and even with a last minute emergency, Dr. Kambiz always find time to put your needs first! I always manage to leave his office feeling better than when I walked in. Great experience. He really cares about his patients. Highly recommend Dr. Silani for his level of knowledge and professionalism to go above and beyond for myself and my wife. Thank you! He is a perfect doctor. 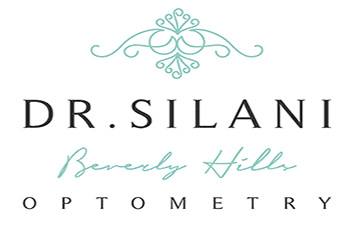 Dr Silani is very informative, thorough & has a very pleasant office as well as demeanor. What I was dreading in regards to getting an eye & vision exam after putting it off for so long, was easy & enjoyable. I've been using Dr. Kambiz Silani for 3 years now. He and his office make visits so easy and I'm always in and out of there quickly. They have a HUGE selection of frames to choose from as well. At Beverly Hills Optometry, we accept most major medical and vision insurance plans. Below is a short-list of just some of the plans we accept. Please contact our office if you do not see your insurance provider listed below.